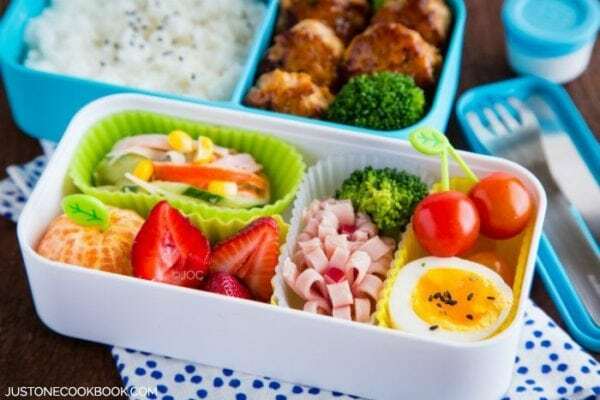 Looking for a fun cooking project with your children? Try Mochi ice cream! 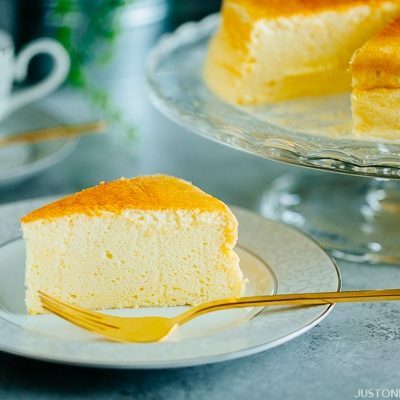 The popular Japanese dessert is easier to make than you think. Imagine your kids smiling faces when they bite into their favorite ice cream inside the soft mochi shell. 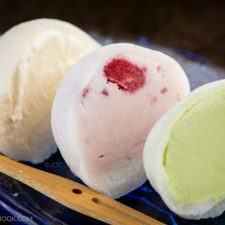 What’s the best part of homemade mochi ice cream recipe? 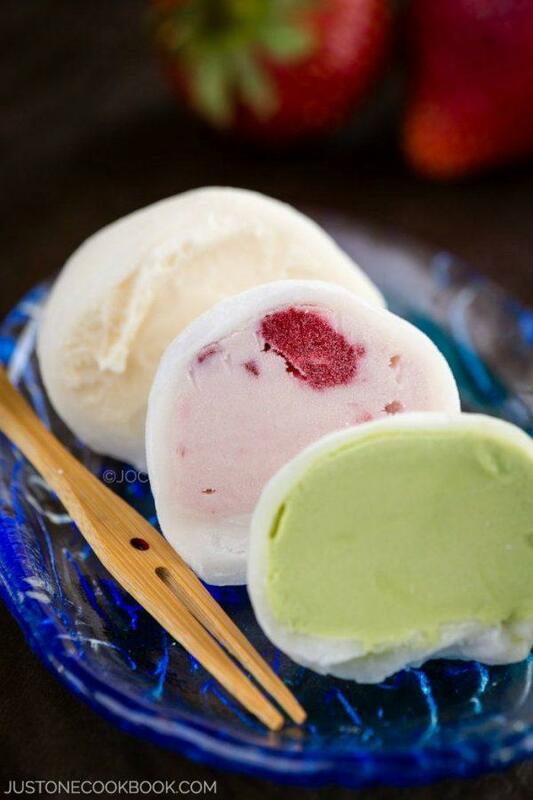 You can put your favorite ice cream inside the mochi! Refreshing and delightful dessert with your favorite ice cream wrapped in soft thin mochi shell. I know you probably don’t believe me when I say it’s not that hard to make … but you have to trust me! If you follow the my tips below, you CAN make decent mochi ice cream even at the first try! Keep your kitchen cool when you are working with ice cream. Get this cookie scoop (portioning scoop) for creating the same portions and nice half-round shaped ice cream for mochi filling. Use generous amount of potato/corn starch on your hands and working surface to prevent sticking. Use a cookie cutter (or small bowl) to cut out mochi into a round shape. Round shape (instead of square cut) seals the mochi neatly and avoid excess amount of mochi on the bottom. And here’s the secret tip! Wear thin latex gloves to insulate warm hands from ice cream and to prevent your hands from sticking to mochi. Do not take short cuts until you are comfortable with making mochi ice cream. Do not expect to make a perfect shape mochi ice cream for the first few trials. Working fast is the most important when dealing with ice cream. Here are a few notes about the recipe. Shiratamako (白玉粉) vs. Mochiko flour (もち粉): I’ve tried making mochi ice cream recipe with both kinds of glutinous rice flour (also called sweet rice flour) but I have to say texture and flavor of mochi ice cream made with shiratamko is much better. 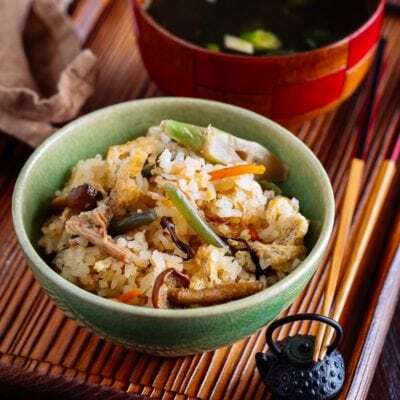 To learn the difference between these two types of glutinous rice flour, please hop over to Shiratamako page to read more details. Steaming vs. Microwave: Both methods work well, and it’s really a personal preference. I usually make it with microwave because it only takes 2 and half minutes to cook mochi. My microwave is 1200W; make sure to adjust your microwave setting accordingly. Once my children found out that I was making mochi ice cream recipe, they volunteered right away to taste test all the different flavors. My daughter’s favorite is strawberry and my son’s is vanilla. What’s your favorite? Using the cookie scoop, scoop out ice cream into aluminum/silicone cupcake liners. The ice cream will melt quickly so I recommend freezing them immediately for a few hours or until ice cream balls are completely frozen solid. Once the ice cream balls are frozen solid and ready, you can start making mochi. Combine shiratamako and sugar in a medium bowl and whisk all together. Microwave Method: If you’re using a microwave to cook mochi, cover the bowl with some plastic wrap (do not cover too tight). Put the bowl in the microwave and heat it on high heat (1200w) for 1 minute. Take it out and stir with wet rubber spatula. Cover again and cook for 1 minute. Stir again, cover, and cook for 30 seconds to finish cooking. The color of mochi should change from white to almost translucent. Steaming Method: If you’re using a steamer, cover the steamer lid with a towel so the condensation won’t drop into the mochi mixture. Put the bowl into a steamer basket and cover to cook for 15 minutes. Half way cooking, stir with wet rubber spatula and cover to finish cooking. The color of mochi should change from white to almost translucent. Cover the work surface with parchment paper and dust it generously with potato starch. Then transfer the cooked mochi on top. To prevent from sticking, sprinkle more potato starch on top of the mochi. Once it’s cool down a bit, you can spread the mochi into a thin layer with your hands or with a rolling pin. Make sure to apply potato starch on your hands and the rolling pin. I recommend using a rolling pin because it’s easier to evenly spread out. 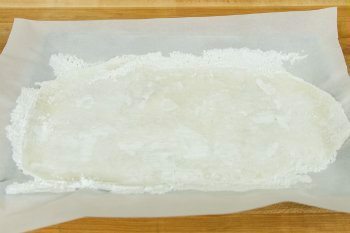 Transfer the mochi with parchment paper onto a large baking sheet. Refrigerate for 15 minutes until the mochi is set. Take out the mochi from the refrigerator and cut out 7-8 circles with the cookie cutter. Dust off the excess potato starch with a pastry brush. If you find some sticky part, cover the area with potato starch first then dust off. Place a plastic wrap on a plate and then mochi wrapper on top, then lay another layer of plastic wrapper down. Repeat for all wrappers. With leftover mochi dough, roll into a ball and then flatten into a thin layer again and cut out into more circle wrappers (I could make about 12 mochi wrappers). Now we’re ready to form mochi ice cream balls. On the work surface, place one sheet of plastic wrap with a mochi layer on top. Take out one ice cream ball from the freezer and put it on top of the mochi wrapper. Pinch the four corners of the mochi layer together to wrap the ice cream ball. When mochi gets sticky, put some potato starch on the sticky area and seal the opening. Quickly cover with the plastic wrap and twist to close. Place each mochi ice cream into a cupcake pan to keep the shape. You will need to work on one mochi ice cream at a time in order to keep the ice cream frozen all times. Put mochi ice cream back into the freezer for a few hours. When you’re ready to serve, keep them outside for a few minutes until mochi gets soften a little bit. Shiratamako and mochiko: These are glutinous rice flour (sometimes called sweet rice flour) made of Japanese short grain glutinous rice. More about it here. Sugar: Do not omit sugar as it helps mochi stay softer. I love mochi ice cream, but it’s so expensive in the stores. I can’t wait to this with homemade ice cream! My husband and I love mochi ice cream! Yours look sooo great! Must try! Thank you for all the useful tips. Hopefully my kitchen won’t be too warm this coming week. 😀 Btw, enjoy your Japan visit. Your mochi are so pretty, Nami! Love seeing the inside shots of the different flavors :). Making this is my dream! Every time I go to Japan, I buy like, 20 billion boxes from a combini! Can’t wait to make these!!!!! Yes! It’s amazing!!! My #1 favourite! This is amazing, Nami – I envy your kids. 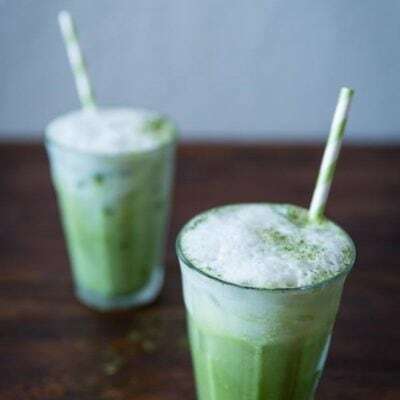 😉 I tried making this with my green tea ice cream a few years ago on a very hot hot summer day and of course, it was a mess. lol… thanks for the step-by-step and tips on making the round sheets of mochi. I love that you used a cupcake tin to freeze the ice cream. SO smart!! I’ll have to attempt it again but will feel much better having your instructions handy. oh, and my fave is the green tea, of course! What a gorgeous ice cream creation. I’ve never even tasted mochi so it’s all special to me. Can’t wait to try this! Have to find some shiratamako and wait for a cool day to make some! Hi Donna! Hope you can find Shiratamako instead of mochiko. 🙂 Make sure to keep ice cubes around to keep the working surface etc cold… that will help a bit. Cute ice cream balls. I’ve never had Mochi. What does it taste like? Is it like flour? Great video and recipe, they look like fun to make, and easy! I’m about a year and a half late, but perhaps someone else will find my description helpful. I would describe it like a marshmallow; it’s like having a marshmallow wrapped around a filling. I can’t believe my eyes seeing this recipe posted. Thank you so much. It’s generally too expensive buying from the store and not as fresh ad homemade. I can’t wait to try your recipe. I gave a question though. So if I want to make this but not eat them immediately can I save them in the freezer for a long time? I wonder the thawing time before consumption too. Thanks again! 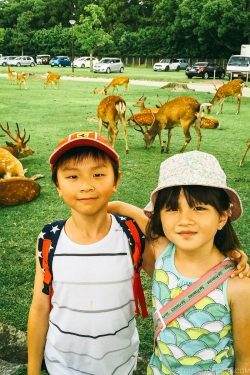 Hi Quyen! I’m happy to hear you like mochi ice cream and hope you like this recipe. You can save in the freezer for quite some time. Mochi can last for 1 year if you freeze them well. Ice cream – it’s up to if you use homemade ice cream or store-bought ice cream. Make sure to store well so that mochi doesn’t get freezer burn. It depends on how warm it is when you defrost outside (summer time vs winter for example) but I usually keep it out for 3 minutes before I try to cut in half (if I need to). Hope this helps! Thanks for sharing this recipe! I initially saw this post while sitting next to my sister, and she commented on how full and perfect your mochi ice cream looked. 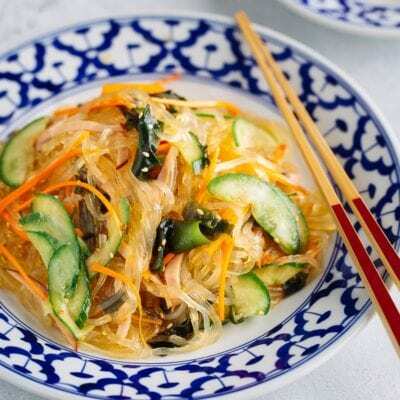 =) Definitely hoping to try out this fun recipe during this upcoming summer. These look so beautiful and well done! With your excellent tips and pictures/video, I might gain enough confidence to try one day. Every time I make treats involving ice cream, like dipping in chocolate to make “tartufo”, it is a dippy mess. But the idea of customizing these mochi with any ice cream I want is very enticing. Looks terrific! I didn’t know you could get this at Trader Joe’s! I gotta look for it. This is fantastic stuff, and looks like fun to make. I’m with your kids — I want to sample every flavor you make! 😉 Fun stuff — thanks. 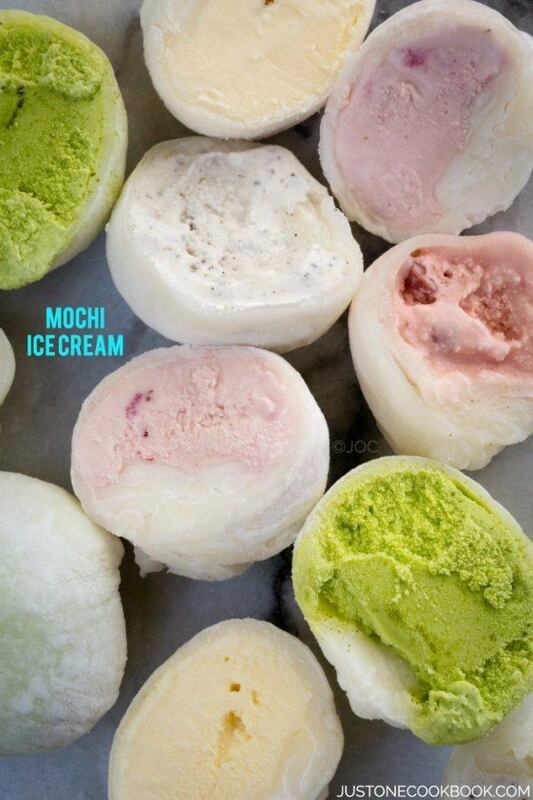 Mochi AND ice cream … wow must be so so nice! Looks so delicious! Definitely want to try this out for summer! LOVE IT!!! Your photography makes this look dreamy and creamy; I can not wait to try it! this is so awesome! i remember when i was still in singapore, i used to buy these mochi ice cream from the supermarkets.. they are so yummy! thanks so much! i have 2 bags of shiratamako sitting in my cupboard.. time to get busy! I have never tried this ice cream before. You are so inspiring. It looks so good. Nami, Nami, Nami…I love Mochi’s, and I used to ask for it ar Japanesse restaurants and always wonderig how they make it. You are the best!!! 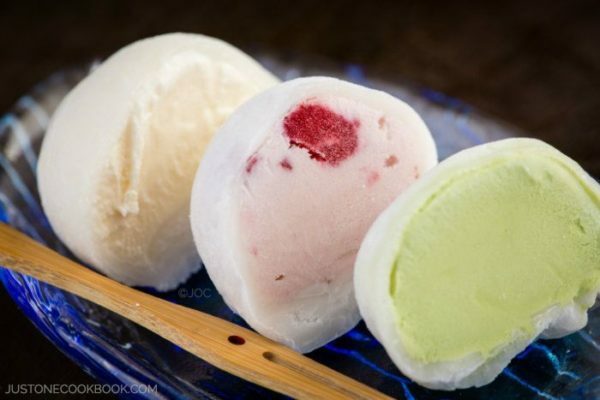 i have never really tried mochi ice cream..looks very interesting! Great post Nami. I have made mochi, not hard but not easy to make look pretty at first lol. I should totally do some with the red bean paste ice cream I just made. mmmmm seems yummy <3 mochi is my fave <3 <3 but i just wanna know, can i substitute shiratamako/mochiko with tapioca startch? or like Chinese glutinous rice flour? Hi Jenny! I have never tried tapioca starch. In Japanese sweets (wagashi) we don’t really use tapioca starch, so Chinese glutinous rice flour is better choice (but it is different from Japanese mochi as rice used for flour is long rice, not Japanese short grain rice). Oh! A thousand times yes! We used to order some of these every time we ordered sushi. SO nice, especially on a summer evening when it’s so hot and you just want to sit and relax. We liked the fruit flavoured ones the most – mango, and strawberry were really lovely. Thanks for sharing the recipe – I bet my wife would have a surprise if I presented her with some of these one day! There’s no reason for delay in trying this! I can already imagine the soft texture of the mochi blending with the sweet, frozen ice cream of choice. An absolute YUM! My mouth just watered up – I want all of it! And it’s SO interesting!! Oh we just love Mochi Ice Cream and this recipe is a treasure! I can’t wait to make this for my family. Thanks for making it seem so easy, Nami. 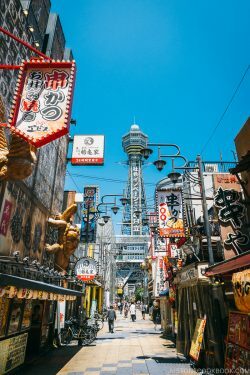 Hope you’re having a fun time in Japan! do you know i could have 10 mochi ice creams all by myself.. i love it. I absolutely love mochi ice cream and I am so grateful for the recipe…!! I also like the method you’re showing and I will definitely try your recipe in the future, especially because mochi ice creams tend to be so pricey. Thanks so much for sharing this with us, Nami :)!! This is absolutely brilliant! I made some salted caramel ice cream earlier and I was thinking of mochi ice cream but these turned out beautiful! I have worked with mochiko flour before and placing frozen fillings in the dough is pretty challenging! Well done, Namiko! This is perfect, I want to make some soon! Thanks for the “DOs” tips, very helpful! Wishing you a wonderful weekend! Oh Nami, I just saw those a couple of weeks ago on youtube and I was really thinking of trying it. I’ve even heard that I can make my own sweet rice flour by soaking rice first for 12 hours then grind them… not sure if this is gonna work or not.. what do you think? Your mochi ice cream looks lovely. Thank you Nami, I just tried looking for it in Target, Walmart…. etc but could not find it. I guess I have to go to an Asian store. Where I am, the grocery store has Mochiko in the Asian or “International” aisle, if you have that. Also, if you have a gluten free/health food section, Bob’s Red Mill sells it as ‘Sweet’ Rice Flour. If you can find the rice but not the flour, make it. Rinse the rice and drain and repeat until the water is more or less clear. Then let it sit 10-12 or even more hours. Then drain the water and let the rice dry so it isn’t wet still. Can take an hour or so. Then blend it with a blender or coffee grinder. Sift out the big pieces and repeat. My friend and I shared a box of mini yukimi daifuku. Oishii!! By the way, I made your Japanese Cheesecake and Green Tea Chiffon Cake and they are both cooling right now. Thank you for the recipes! Never had mochi, so it’s completely new to me but sounds so intriguing! Love the way you wrap ice cream dollops. These look just perfect, so I hope to have a chance of tasting these one day! A wonderful way of serving ice cream! I really love the idea. Divine! My family loves mochi ice-cream! However, the weather in Singapore has been scorching hot lately to make this now, will bookmark it first! The way you’ve made mochi looks very similar to how we make rice balls 🙂 and ice-cream filling…to die for! You explained the preparation so well and step by step that I’m going to give this fantastic looking Ice cream a try. My boys are home for summer and I know if they saw this they’d be begging me to make it! I have bought mochi from TJ’s but I never got the chance to try it because they ate it all before I got the chance 🙂 The step-by-step photos are so helpful for this one. Excellent instructions! Pinning to save for later! Astonishing! I love those and never thought I can make them at home. The process looks quite complicated but your mochi ice cream has such a beautiful finish! Nami, I seriously love that you posted this. Mochi is actually my favorite kind of ice cream…got hooked on it when I lived in Hawaii. Thanks for the tips, because I’d really love to try this. 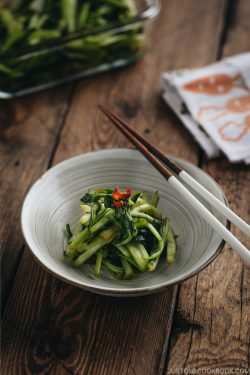 This is one of the most interesting recipes/techniques I have ever seen. I would love to taste them before I attempt to make them. You keep us on our toes Nami and that’s a good thing. Excellent video. I have never heard, not to mention eating, mochi ice cream, but I would happily exchange my favourite traditional ice-cream for one of your beaufitul balls. (The green one is so enticing…). Thank you for one more amazing recipe (by the way, I think I have the same plate! I have also bowls with this pattern… brought from Japan last year 😉 ). Oh how fun, I didn’t know I could make them at home so easily! Ahhh this is simply THE BEST. thanks for this recipe. I have a question, after i made them and freeze it ( because i could not finish all 12 at the time ) the flour got so hard. So can we keep it or have to eat all after we make ? You`re my hero, Nami. I super super LOVE mochi ice cream. It`s seriously one of my favorite foods, ever!! There`s a mochi gelato place where I live and I love going there because they have over 10 flavors! But, it`s so expensive. I LOVE how this isn`t as complicated as it looks. I must try this one day! Thanks!! Thanks nami for your reply! I’ve got another question to ask.. normal sugar will do or need to use some specific sugar? Hello Namiko, if I use steamer, the stove should low/med/high heat? Thanks for a great recipe which ill definitely give it a try! I was wondering how long may the Mochis stay in the fridge before the mochi gets stiff?? 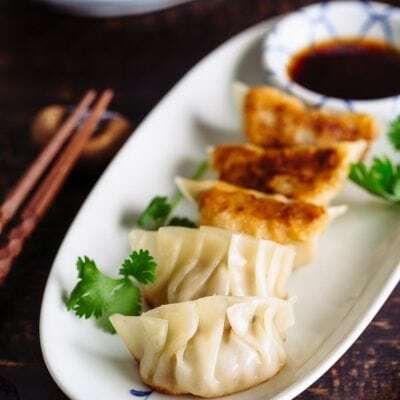 I stumbled across your site looking for recipes for gyoza wrappers and have navigated through to your mochi instructions. I LOVE mochi and can’t wait to make my own with my favorite flavors. Your site is my new favorite and I look forward to browsing the rest of your recipes! Hi Shannon! Thank you so much for your kind words. I’m so happy to hear you enjoy my blog. 🙂 I hope you enjoy this homemade mochi ice cream recipe! Do you think the water would sub ok with coconut milk? Hi S! Someone actually left a comment on my YouTube asking the same question. I’ve never tried making mochi ice cream using coconut milk, so I mentioned so, and the person actually went ahead and tried it. The feedback was that it wasn’t as nice as regular mochi ice cream. Hope that helps! for the 3/4 cup measurements, i noticed it says two different weights for shiratamako and water, which one should i use? the 100g is weighed on the scale? or use 3/4 cup measuring cup? and the water is 180ml by weight? for the potato startch, 1/2 up is more than 100g, which one should i use? the 1/2 cup or the 100g? i guess it’s less critical for the potato starch, as they are used for dusting. Hi Maria! Sorry to confuse you. 3/4 cup weighs differently with Shiratamako and Mochiko. I think I should have written 3/4 cup shiratamako (100g) or mochiko (115g). 3/4 cup = about 180 ml for liquid. Potato starch should be about 1/2 cup more or less (and yes doesn’t have to be exact). A lot of my readers prefer to use metric system so I have to weigh and use ml instead of cup measurement. Hope my response makes sense. Our family love mochi ice cream, special my husband (that guy will give you anything for a mochi ice cream ball). 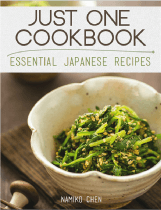 My sister-in-law is a Japanese and I think I can impress her with this recipe. I can totally see her jaw drop when I serve this at dinner…hahaha! Thank you so much. hai dear , can i have a question . is that granulated sugar or powder sugar? i hope u will reply coz im sooooo gonna make it this weekend ? That looks so yummy and pretty! My favorite flavors are green tea and mango. I love mochi ice cream, but I don’t think I’d try to make it by myself. I tried following the recipe but the mocha turned out green instead of white or translucent. Hi Susan! Thank you so much for trying this recipe! How come your mochi turned to be “green”? What kind of glutinous rice flour did you use? Was it shiratamako or mochiko? I used shiratamako. Also, I did not see this comment so I posted another one by accident. Even though the mochi is green, is it still edible? Hi Susan! It’s really hard for me to say as I’m not sure why it’s green. Do you still have it? I can take a look if you can send me a photo too. I am not comfortable saying it’s okay to eat since I have never seen green mochi from shiratamko…sorry. Hi, I’m wondering, after cutting the circles, can I combine the extra mochi to make more circles? Or what do you do with the extra after you cut the circles? I love mochi ice cream, I tried this recipe, your explanation and video were super helpful! After I put the mochi ice cream back in the freeze the mochi is super hard, is this normal ? Hi Diana! Yes, it’s normal. You have to let it defrost a little bit before you eat/serve. The mochi we purchase from the store are very soft because the ratio of higher sugar amount in shiratamako in order to achieve that soft texture when frozen or room temp. For home use, I kept the sugar amount low to be healthier. If you like the mochi to be soft, increase the raito – for store bought ones, it’s 1:2. Hope that helps! So if I would like to keep all of the other measurements the same but make the mochi softer by adding more sugar, could I add 1/2 cup of sugar instead of 1/4? Would that alter the consistency of the mochi? Is it possible to substitute another starch for the potato starch? I am all out right now but really want to make these, can I use tapioca starch or corn starch instead? Will either of those negatively affect the mochi too much? Hi Sharon! Corn starch is a good substitute, not sure with tapioca starch (are they edible without cooking?). I had a similar question to Sharon’s. Right now I have to have a very limited diet and potato and corn are both not part of it. 🙁 So I was wondering if I could use more rice flour to keep the dough from sticking, or else tapioca starch or arrowroot starch? Tapioca (cassava) and arrowroot starch are both edible raw. Do you think one or the other of those (or else more rice flour) would be better? 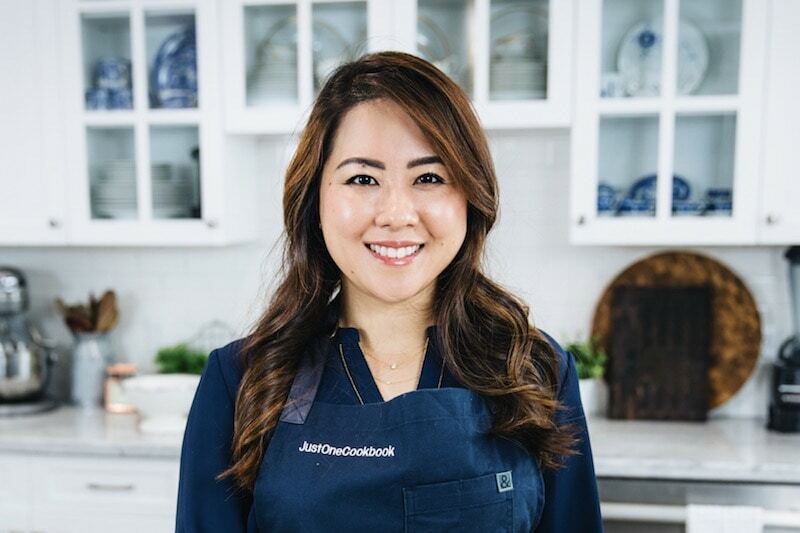 Thank you so much for your help and for your recipe – I love, love, love green tea mochi ice cream and with this limited diet I can’t have it unless I make it at home!! Hi Lulu! I see. I have never used any flour other than potato or corn starch for rolling mochi and even store bought mochi is coats with either of them. I think rice flour needs to be cooked and not sure you can use it to coat the mochi and straight to eating… Someone told me (either here or YouTube) she used tapioca starch and didn’t work. I wish I can give you a good substitute but I don’t know what else would be good for substitute. Do you think you can find the info at health specialized website or forum? Nami, the potato and corn starch can be eaten raw? Thanks! Hi, love the blog and the video on how to make mochi ! I was just wondering how many mochi balls were you able to make? What should the steamer be set on? High, medium, or low? I’m so happy to see a mochi ice cream recipe! Yours looks so good! Can’t wait to make this recipe. Is the potato starch only to prevent sticking? Or is some added to the bowl before cooking? Hi Dina! So sorry for my late response – I was traveling and couldn’t get back to you sooner. Yes, we only use potato starch to prevent from sticking. 🙂 Hope you enjoy this recipe! Hi Nami. Do I need to cook potato or cornstarch before using this Mochi ice cream recipe? Please reply. Thanks so much. From the response you gave below, if we want the mochi to be soft like the store bought ones. The ratio is 1:2. Does this mean 1 part shiratamako and 2 parts sugar? For your recipe above, I would use 100 g of shiratamako and 110 g of sugar then? Please clarify for me. Thanks. Hi Heather! I’m glad the pictures were helpful. 🙂 Thanks so much for your kind feedback! Is it alright if food colouring is put into the mixture or will it have any effect on the mochi?? Hi Jenny! Sure! You need to put it in the mixture before microwaving/steaming. No affect. It’ll be pretty color! 🙂 I’m happy to hear you enjoy my recipes. Thank you! Hi what is the size of oxo cookie scoop you use (small, medium, large)? Hi Rod! My microwave was 1100W when I made this recipe (now it’s 1400W), so maybe your microwave is stronger? Did you use granulated sugar? What cups/units did you use? Metric cup? United States ‘legal’ cup? Japanese cup? I live in the U.S. so for cup, I use American measuring cup – 240 ml = 1 cup. What do you mean by “when mochi gets sticky”? I’ve found that mochi isn’t very sticky at all once it’s cooled down. Hi Sara! When mochi gets extended (by pulling in order to wrap), there will be some parts that are “new” surface. That new mochi surface is sticky as it is not covered by potato starch. Not everywhere, but it’s possible it gets sticky on the new surface… Sorry my English is not good to explain the situation very well. Hello! My little brother is wanting me to put chocolate ice cream in the mochi. I’m not sure that it’s a good idea, as chocolate is a very over powering flavor. In you opinion would this flavor be alright? Hello, i tryed the mochi after this receipt. However, while unfreezing (5 min) the mochi, the dough is still pretty firm to bite. Do I have to wait longer until the dough gets soft again or did I make some error? Hi Nohz. Hmmm hard to tell from what you wrote… Did you use glutenous rice flour (sweet rice flour)? It shouldn’t be too hard. Depends on season/where you live, 5 mins may not be enough to get soften on outside (but inside ice cream is still hard). Hey Nami, thanks for the fast reply. I used Kimura Usagi Rice Flour (from japancentre.com) – On their description says it is the same as shiratamako. Is it different? :S I will try waiting a little bit longer, see what happens. I am from Austria and we do not have mochiko or shiratamako explicitly. Do you have an idea how i can get it in Austria/Europe? Hi Nohz! I don’t know a store that ships internationally, but I’m asking this company to sell shiratamako and ship internationally… once they can, I’ll inform in my newsletter. I know so many people are waiting for shiratamako. 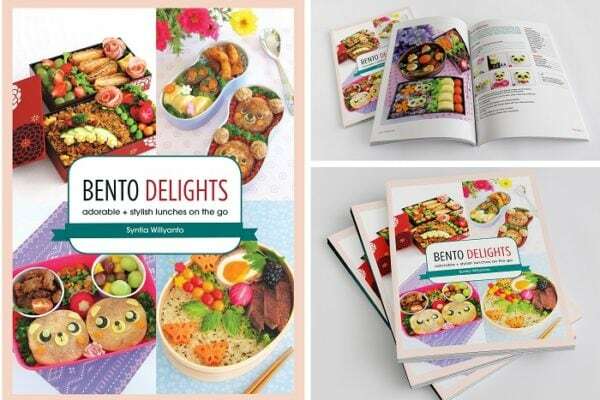 Mochiko is easily accessible on Amazon (http://amzn.to/29zllew) in the US. Shiratamako is NOT rice flour. Shiratamako is made from glutinous rice flour (or sweet rice flour). We use this sticky rice for making mochi, and certain dish. Mochiko is also made from glutinous rice flour. 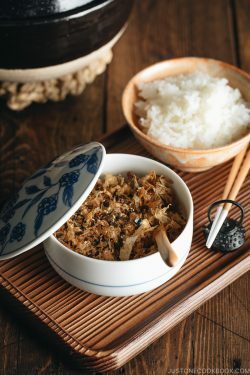 Rice flour is made from regular rice – the rice we eat everyday in Japan. Not sticky rice (glutinous rice). Rice flour has several kinds too, but most common one is Joshinko. I absolutely LOVED these!! Such a wonderful texture to go with ice cream, I made it with Mediterranean vanilla bean gelato! Are these supposed to taste good? My family thought they were extremely unappetizing. We were not sure if we were supposed to eat them raw or deep fry the little balls? This way a buy we will never forget! Hi Jessica! My first question for you is if you like Japanese mochi or any type of mochi dessert. If you don’t like that kind of mochi texture (there is nothing like that to explain the texture, which is why we call it “mochi texture”), I doubt you like mochi + ice cream combination, even you enjoy ice cream. My second thought was that I hope you had a GOOD quality mochi ice cream at least… mochi has to be chewy and soft. enough that melts in your mouth (after chewing). Some Americanized Japanese restaurants deep fry mochi ice cream, but that’s not very Japanese style. I can’t imagine eating it. But I guess it’s popular in the US? I’m not sure as I haven’t tried it. Hi, Nami. Thank you for this recipe. Can’t wait to try it! Is there a particular length of time you can store the mochi in the freezer? Do they lose texture, freshness, etc if stored in a deep freezer? Were you able to find the rice flour in a regular grocery store (like Kroger or Wal-Mart) or is this something I’ll need to order online. Sorry if this seems like a stupid question but since I’ve never looked for it I’m not sure about where to buy it. Hi Meagan! I live close to several Japanese grocery stores so I can get the glutinous rice flour (sweet rice flour) easily. You can find Mochiko in some American grocery stores here in the Bay Area, but you might need to look for it online if you don’t see it. I am going to try your mochi ice cream recipe tonight! want to use Mango sorbet for starters! I work in the same building as Kikkoman Headquarters and their products are the best AND employees are fantastic people. Hi Terry! I hope you enjoy(ed) the recipe! It’s a lot of work but once you know how to make, it gets easier… Ohhh mango sorbet inside mochi! I want some. 😀 So nice to hear you enjoy Kikkoman products. 🙂 Kikkoman team I work with are all nice people too! Hey! I am so excited to try this. I was wondering… When you see mochi flavored with green tea, strawberry, peanut butter, etc, is the mochi just died or do they flavor it, or both?! I am planning on making huckleberry mochi so if i flavored it, it would be with the juices, What do you recommend? How much of food coloring/flavor? Hey, I went for it. It was absolute carnage. Mochi everywhere. I loved it! It is beautifully soft and incredibly satisfying. I cant wait to try again with chocolate mochi and peanut butter ice cream! Great recipe! Thank you for sharing. Hi Mariah! Thank you for your feedback. Haha, I know, it’s pretty sticky isn’t it. I guarantee the second time is much easier as you know what to do. 🙂 Oh wow that combination sounds delicious! If you make the chocolate mochi, would you mind sharing your process? I want to make chocolate mochi, but I can’t find a recipe anywhere, and the ingredients for this is not exactly easy to come by for me, so I can’t afford to mess up ????. Can I add dye to mochi to give similar color of ice cream? my mochi ended up rock solid. I didn’t put any sugar in it – I just sweetened it with a little bit of stevia . Could the lack of sugar being causing to freeze up? 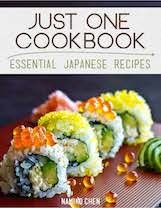 Hi Nami, thanks for the recipe, I will try it this weekend! I’m in SF as well, which Japanese grocery store do you get your Shiratamako? The one on Webster St? Thanks! No worries, thanks for replying! 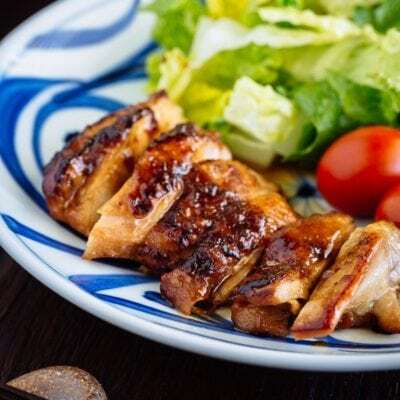 I will check out the Nijiya in San Mateo next time I’m near there! Thanks! You’re welcome. Hope you enjoy the recipe! Hi John! In general, homemade ones tend to be harder because mochi has much less sugar compared to store-bought one. Sugar makes the mochi tender and softer. You have to defrost it for several minutes (but inside the ice cream will be still frozen as the mochi is still cold). Hope that helps! 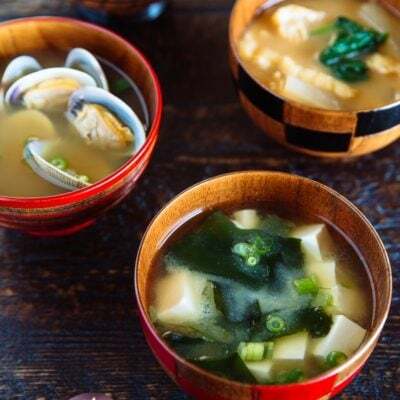 Mochi Soup or sweet Elmer’s Glue? Seriously way too much water. I had to add 4 times the flour to bring the recipe back. Now I have 4 times the dough. Hi Sam! Did you steam or microwave afterwards (Step 5 or 6)? Check my video above around time – 0:56. You see how liquid it is? Then you will cook the mixture. This is very common way to make mochi (gyuhi). I think you did not cook, that’s why you think it’s liquid and need to add more flour… because after being cooked, it’s already sticky and no more liquid. Hope this helps! Hi Me! 1 cup of feather is different weight (gram) from 1 cup of sand. It’s the same theory…. 100 gram of shiratamako and 100 gram of potato starch are different volume. Can i store the already cooked mochi dough in the fridge? My daughter and I tried to make this yesterday and it was a disaster. We followed the instructions to the letter. Ah, well. She wanted mochi ice cream for her birthday party next weekend, will have to buy some instead. Hi Butch! Thank you for trying this recipe and I’m sorry it didn’t work out. Which part was difficult or ended up failing? I would not say this recipe “easy” until practicing 2-3 times at least as mochi is SO STICKY and I had to learn how to work with it. By my third trial, I know how to work with it from previous experience, so it was getting easier and what to expect. 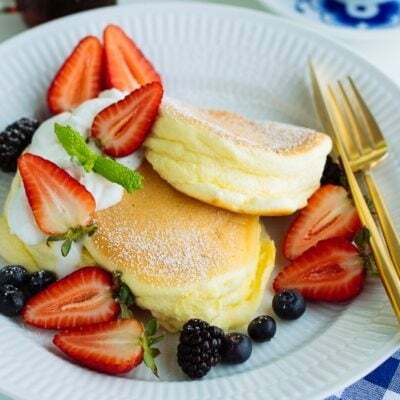 We just can’t touch mochi without having potato starch well coated, but when it’s too much coating, you need to remove it to make it sticky to close the seam… Many JOC readers had tried this recipe since I shared this recipe and made it work. If you decide to try again, please let me know so I can give more tips or instructions on where you needed more help. Thank you again! Can you flavour the mochi rice dough? And if so what would recommend to use to flavour it and how much would you use? For example would you had a fruit powder or could you add a vanilla essence? Ok here I go! I’m giving it a go! Expecting a disaster from reading thru all the comments etc! Lol! But I’ll give it 3 times before giving up! Just like you said! Cause it’s WAY TOO AMAZINGLY awesome to not try it at home!! Too expensive in stores! Wish me luck! Mrs Jones! Good luck, and just remember that mochi is SUPPOSED TO BE very sticky and hard to handle. And when you practice enough, you know how to handle it… but till then, it can be “difficult”. Make sure potato starch (or corn starch) is on your hands and mochi. Remember that new sticky surface appears when you pull mochi. It’s needed to be sticky when you close the mochi (which is why it’s best not to put too much powder). Otherwise, mochi should be thinly coated with potato starch all times. If you’re not sure at any step, take a pic and let me know. Some JOC readers succeeded at first trial, but I had to try several times before mochi ice cream looks representable. 🙂 So don’t be too hard on yourself too. More mochi ice cream for you to enjoy at home! Good luck! Yeah!!!!! I did it first try! Here they are…2 gone already because I just couldn’t help myself! Ha! The only problem I had was that I was glad that I had spread out the first roll out of Mochi, with my rolling pin big enough to cut out all of my 12 cutouts, because I couldn’t get the leftover Mochi to stick back together after that. I think at that point I had too much cornstarch out on it, so it wasn’t even thinking about forming back into a ball. Oh well! I used it at the end, instead. (This is bad of me but this is how much I love my “new found go-to”, Mochi…)…I used up the leftover Mochi pieces by popping them in my mouth followed by a spoonful of ice cream! Lol! (2+ larger size of jeans, here I come! Ha!) Thank you soo much for your recipe post, your quick reply of encouragement, and for Rocking! Cause you do! My new favorite blog!! I’m so happy to find a new mochi loving JOC friend! 🙂 Thank you again for trying my recipe! I love your explanation bcause it easy to understand and recommendation.Btw I just know that sweet rice flour is as known as glutinous rice flour . Thank you for the information and I will try this recipe. I only have oven in my house. So what temperature should i use and for how long it takes?